Is there a spirit present? Yes. What is your name? Eqe. In what part of the world did you live? North America. Were you a man or a woman? A woman. What is your name in English? Akka. How do you translate bello into English? Fine. Why have you come here? To do good. To you or to us? To you. You can, then, do us good? I can; it is all in the task. How can we obtain good? In emancipating woman; all depends upon her. It was Nicholas of Cusa (1401-1464) who is first known to have proposed that the stars were other suns - at a time when it was usually thought that they were jewels or blocks of ice set in a crystalline sphere - and that they had inhabited planets circling them. (7) This was a remarkable conclusion, since he had no good reason for thinking this. Indeed, had CSICOPs existed in the fifteenth century, they would have told him that his hypothesis violated the principle of Ockham's Razor, so that he should not believe in it. Meanwhile, a poorly-educated country boy from Poughkeepsie, New York State, Andrew Jackson Davis (1826-1910) [left], had been mesmerised by a travelling showman, and found to have "very remarkable clairvoyant powers." Further experiments with him were performed by a local tailor named Levingston, who tried to get Davis to diagnose people's diseases whilst in mesmeric trance. When asked more general questions, he took to saying: "I will answer that in my book." The bulky work that resulted, The Principles of Nature, appeared in 1847. It is an occult history of the cosmos, beginning with the creation of the stars and planets, going on to the geology and past epochs of the earth, pre- and ancient history, and the origin of religions, wherein he attacked the accuracy of the Bible. It is rather vague and rambling, though in high-flown language, e.g. "The material Universe is a Vortex, from which all forms, material and immaterial, are unfolded and developed to the external or surface." For my thought's vision to endure." Skeptic: Cannot spirits visit the fixed stars? Spirit: Some of them are near enough to be visited; Sirius, for example. Skeptic: What is the difficulty? can they not move with the swiftness of thought? Spirit: Yes. It is larger than our sun by a third. It has a more extensive system of planets than we have. Skeptic: You spoke of the inhabitants of the moon. I thought there was no atmosphere there, and that, therefore, no life could exist there? Spirit: The side turned from us is inhabited. The side turned toward us has no visible atmosphere, no water, and no life. Skeptic: How can that be? An even more bizarre theory had been propounded by no less a person then William Herschel, the discoverer of the planet Uranus. He argued that whilst the 'luminous atmosphere' of the sun is very hot, beneath it is a cool, inhabited world, whose mountains we occasionally see as sunspots. (23) Since such a distinguished man believed it, there should be no surprise that the notion later turned up in a seance. This paper was read by William Denton, a Yorkshireman recently settled in Ohio, who decided to investigate for himself, using his wife and other relations as psycho meters. Mainly, he got them to examine geological samples, numerous readings of which were eventually published in his three-volume The Soul of Things. Holding a fragment of lava from the Kilauea volcano in Hawaii, a sensitive said: "I see the ocean and ships are sailing on it. This must be an island, for water is all around. Now I am turned from where I saw the vessels, and am looking at something most terrific. It seems as if an ocean of fire were pouring over a precipice, and boiling as it pours. The sight permeates my whole being, and inspires me with terror. I see it flow into the ocean and the water boils intensely." This, Denton observed, was an accurate description of the eruption of Kilauea in 1840. In the third volume, Denton related how, after supper one evening in 1866, he was in the orchard with his ten-year-old son Sherman. He pointed to Venus, and told the boy: "Look at that star; and then shut your eyes, and tell me what you see." The response was: "I see it round, but all rough. guess it is more hilly than this world. The mountains seem higher than they do here. I see a tree larger than these round here, just like a toadstool. It is a kind of purple calor. It has a monstrous trunk, larger than any I ever saw before. I see many of them. They are as thick as the woods down here. There are not as many on the mountains as on the plains. Inside of the trees is jelly-like stuff as sweet as honey. I tasted it. There is something hard inside that I spit out." His later vision of the sun was at least more accurate than Home's: "I see a world all lava. I tell you it is hot." On 10 April, a cigar-shaped aluminium ship was reported to have crashed to the west of Lanark, Illinois, on the farm of Johann Fliegeltoub. Two of the crew were killed, but a 'strange creature' in ancient Greek garb survived. According to a report filed by General F. A. Kerr, his tunic "was embroidered with a coat of arms over the breast, a shield with a bar sinister of link sausages and bearing a ham sandwich rampant." Having explained that "he and his companions were an exploring party from Mars", the alien then got his craft working again, and disappeared into the night sky. The general "returned to Lanark and securing a room at the hotel, sat up all night smoking opium and eating hasheesh to get in condition to write this dispatch." (37) Evidently, planets go in and out of fashion. In the 1950s, flying saucers would nearly always come from Venus, but in the 1890s Mars was the usual place of an alien's origin. It is no surprise, therefore, than when a Swiss woman became the first earthling to learn something of the language of another planet, it should have been Martian. "I am now deep in Myers's articles in the Proceedings of the Society for Psychical Research, I have been asked to give two talks in a series of public lectures, after the New Year, and I shall do them on Verifiable Hallucination, Visions in the crystal ball, etc." Three months later he regretfully reported that: "The few mediums and subjects of telepathic hallucinations etc. whom I have been able to reach in the last three months in Geneva have not furnished me with decisive phenomena", so that his talk would have to be based upon the writings of Myers and James himself. After another year and a half, however, he was able to write of 'Helene Smith' (the pseudonym he gave to shop girl Elise Muller) that: " ... this woman is a veritable museum of all possible phenomena and has a repertoire of illimitable variety: she makes the table talk, - she hears voices, - she has visions, hallucinations, tactile and olfactory, - automatic writing - sometimes complete somnambulism, catalepsy, trances etc. 500 years earlier, Mademoiselle Smith revealed, she had been Simandini, the daughter of an Arab sheik who was married off to a Hindu prince named Sivrouka Hayaka. She had next been Marie Antoinette, and her current spirit guide, Leopold, was the celebrated occultist Cagliostro. Leopold might rap upon the table, or speak through automatic writing, or directly through Helene Smith's vocal cords. Some of these seances were attended by a Mme Mirbel whose only son, Alexis, had recently died aged seventeen. 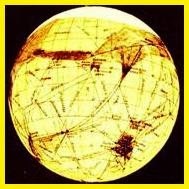 On the evening of 25 November 1894, Mile Smith suddenly found herself walking upon Mars, though it appeared to the others that her body was still in the room with them. "Helene then began a description of all the strange things that presented themselves to her view, and caused her as much surprise as amusement. Carriages without horses or wheels, emitting sparks as they glided by, houses with fountains on the roof, a cradle having for curtains an angel made of iron with outstretched wings, etc. What seemed less strange, were people exactly like the inhabitants of our earth, save that both sexes wore the same costume, formed of trousers very ample, and a long blouse, drawn tight about the waist and decorated with various designs." Finally, she saw a vast assembly hall, in which she met none other than Alexis Mirbel, who gave her some messages for his mother. Further communications followed with the Martians, one of whom was Astane, a Hindu fakir formerly named Kanga, with whom she had been a friend when she was Simandini. Then messages started coming in the Manian language itself. About 20 September 1896 she received "Dode ne ci haudan te mess metiche Astane ke de me veche", which was followed on 2 November by a French translation: "Ceci est la maison du grand homme Astane que tu as vu", i.e. "This is the house of the great man Astane, whom thou has seen." Later, Alexis told Mme. Mirbel: "I mode mete mode mode ine palette is che peliche che chire ne ci ten ti vi." "0 mere, tender mere, mere bien-aimee, calme tout ton souci, ton fils est pres de toi." "Oh mother, tender mother, dearly loved mother, calm all thy care, thy son is near thee." It seems that Leslie did not realise that this information all derived from the pronouncements of a medium named Mark Probert, and that when he did find out he was not pleased, since in the later revised edition this section was deleted, with the comment that: "Since meeting his group and examining their methods of investigation, I am of the opinion that though his findings may have a certain substance, the methods by which they were obtained are far from satisfactory." (45) Spiritualist techniques were no longer felt to be scientific, in contrast to the hard reality of George Adamski's meeting with a Venusian in the Arizona desert, the truth of which Leslie continued to argue for at length. Book sales suggest that the general public thought likewise. Cyril Richardson's Venus Speaks consisted of a series of telepathic communications from 'the chief scientist of the planet Venus', which he had "received between September 1953 and February 1954 with a request that they should be made public." (46) Now, Flying Saucers Have Landed was published in September 1953, and it no doubt encouraged Richardson to make contact himself; yet his booklet disappeared almost without trace, whereas the work that inspired it was an international bestseller. 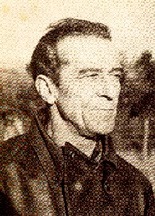 One evening in mid-June 1965 Arthur Bryant [below] of Scoriton, Devon, a gardener at an old people's home, told his wife that he had seen a UFO the week before. She did not believe him, and that might have been the end of the matter, but their two daughters, who were aged nine and eleven, overheard the conversation and talked about it at school. Word quickly spread around the district, and a woman who regularly tried to make trouble for the local council wrote a letter to the South Devon Journal, saying that a flying saucer had contaminated the area with radioactivity, and demanded that the authorities launch an immediate inquiry. Bryant was promptly besieged by nuisance visitors, including a local policeman who demanded "What's this I 'ear about Russian spacemen landing in your garden?" 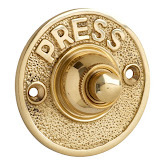 All this distressed his wife, and necessitated him ejecting over-persistent news reporters bodily from his door. Threatening, anonymous letters were sent accusing him of being a communist; he even received five proposals of marriage. The following Sunday the Plymouth Independent ran a big headline 'Did A Satellite Land in a Devon Field?' It was read by a Paignton woman, Mrs. Phoebe Beer, who mentioned it to her son Lionel, who was then Publicity Officer for BUFORA. In August Lionel and the chairman, Dr Doel, visited Scoriton and interviewed Bryant. He told them that on the night of 7 June he had heard a humming sound, and going outside saw a blue object "the apparent size of a pea at arm's length" cross the sky and descend a few fields away. Next day he visited the spot and found some pieces of metal, and a glass phial containing a piece of paper with the words adelphos adelpho, which is Greek for 'brother' to brother". Having been persuaded to join BUFORA himself, later that year Bryant wrote to them saying that he had had an earlier and much more remarkable encounter. As he would relate it to Eileen Buckle and Norman Oliver, on 24 April 1965 he had been walking on Scoriton Down in the late afternoon when a saucer-shaped object suddenly appeared, swung around, then came to rest hovering a few feet above the ground of the field in front of him. A door opened, and he saw three figures in what he took to be diving suits, one of whom beckoned to him. As he approached they took off their helmets, which was an odd thing to do, since the purpose of a space helmet is to protect one from the atmosphere (or lack of it) outside the craft; the incident is reminiscent of science fiction, where aliens often make this mistake. He could now see that two of them had eyes like cats' and very tall pointed conical foreheads. He also noticed that they had four fingers on each hand. The third looked like an ordinary human of about fifteen. To conclude, by coincidence, whilst I was trying to finish this article, I came across this item in thelondonpaper 'funny old world' column: "The fictional home planet of Star Trek's Mr Spock may really exist. A powerful telescope found rocky worlds around the star Epsilon Eridani, which Spock's planet Vulcan orbits in the TV show. Nasa experts believe one could be habitable like Earth." (49) Perhaps one day dead humans will be reborn there. French translation in 'La Spiritisme a Cadiz en 1868 et 1868', Revue Spirite (ed. Allan Kardec), Volume 11, no 4Paris, April 1868, pp.123-24. I have been unable to locate a copy of the original Spanish, which seems to have been published at Cadiz in 1854. Allan Kardec, L'Evangile selon le Spiritisme, Federacao Espirita Brasileira, Rio de Janeiro, 1979 (photographic reprint of the third French edition, Paris, 1866), p.21. Report on Spiritualism, of the Committee of the London Dialectical Society, London, 1871, p.309. Her main source seems to have been 'La pluralite des mondes', Revue Spirite, Volume 1, no.3, March 1858, pp.65-73. St. Le Tourneur, 'Camille Flammarion', Dictionnaire de Biographie Francaise, Paris, Librairie Letouzey et Ame, 1975, Tome 13, Cols.1462-63. Camille Flammarion, La Pluralite des Mondes Habites: Etude ou l'on expose les conditions d'habitabilite des terres celestes, descuteés au point de vue de l'astronomie et de la physiologie, Paris, 1862, pp.39, 47. This first edition was only 50 pages long; the second, two years later, ran to 555. Camille Flammarion, Discours prononce sur la tombe de Allan Kardec, Paris, 1869, p.23. Isaac Asimov, Asimov's Biographical Encyclopedia of Science and Technology, Pan, London, 1975, p.64. Summary in Arthur Koestler, The Sleepwalkers, Pelican, 1975, ppA20-25. Most of these extracted in Faith K. Pizor & T. Allan Comp, 'The Man in the Moone': An Anthology of Antique Science Fiction and Fantasy, Sidgwick & Jackson, London, 1971. 'M. Poitevin, aeronaute', Revue Spirite, Volume 2, no 4, April 1859, p.1 08. Ronald L. Numbers, 'Ellen Gould White', in Mircea Eliade (ed. ), The Encyclopedia of Religion, Macmillan, New York, 1987, Volume 15, pp.377-79. Ellen Gould White, Early Writings, Review and Herald Publishing Association, Hagerstown, Maryland, 2000, pp.39-40. Martin Gardner, The New Age, Prometheus, Buffalo, New York, 1991, p.258. Arthur Conan Doyle, The History of Spiritualism, Cassell, London, 1926, Volume 1, pp.36-42. Andrew Jackson Davis, The Principles of Nature, Her Divine Revelations, and a Voice to Mankind, John Chapman, London, 1847, pp.? ?, 167, 183,208. B. F. Barrett, Davis' Revelations Sifted: A Review of Rev. T. L. Harris'Lectures, on "Spiritual Philosophy", Cincinnati, 1848. Thomas Lake Harris, An Epic of the Starry Heaven, 4th edition, New York, 1854, pp. 25, 176, 34. Brinsley le Poer Trench, The Sky People, Neville Spearman, London, 1960, p.39. Robert Temple, The Sirius Mystery, Futura, 1976, p.31. I. S. Shklovskii & Carl Sagan, Intelligent Life in the Universe, Delta, New York, 1966, Chapter 13. Quoted in Andrew Jackson Davis, A Stellar Key to the Summer Land, William White, Boston & New York, 1868, pp.141-42,145. George Adamski, Inside the Space Ships, Abelard-Schuman, New York, 1955, pp.158-61. M. A. Hoskin, 'William Herschel', in Charles Coulston Gillespie (ed. ), Dictionary of Scientific Biography, Scribner's, New York, 1972, Volume 5, p.333; Patrick Moore, Can You Speak Venusian?, Star, London, 1976, pp.42-43. E.g. T. H. Hall, New Light on Old Ghosts, Duckworth, London, 1965, pp.86-119. Viscount Adare, Experiences in Spiritualism with Mr. D. D. Home, [London, 1871], p.84. Leslie A. Shephard (ed. ), Encyclopedia of Occultism & Parapsychology, 3rd Edition, Gale Research, Detroit, Michigan, 1991, s.v. 'Buchanan, Joseph Rhodes', and 'Psychometry' . 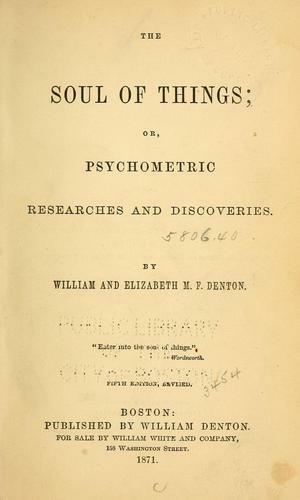 William Denton, The Soul of Things: Psychometric Experiments for Re-living History, 3 volumes, Denton Publishing, Wellesley, Massachusetts, 1888, Volume 1 pp.38-39; Volume 3 pp.147-48, 159, 171-77. Arthur C. Clarke, 'Armaments Race', Tales from the White Hart, Sidgwick & Jackson, London, 1973 (written 1954). G. E. Wright, Evidences of Spiritualism: Practical Views of Psychic Phenomena, Kegan Paul, London, 1920, p.61. Camille Flammarion, La Plenete Mars et ses Conditions d'Habitabilite, Gauthier-Viliars et Fils, Paris, 1892. Venus, e.g. Iron Mountain Daily Tribune, 30 March 1897; Preast of Omaha, Indianapolis Journal, 1 April 1897; both of these reprinted in Thomas E. Bullard, The Airship File, Bloomington, Indiana, 1982, p.82. 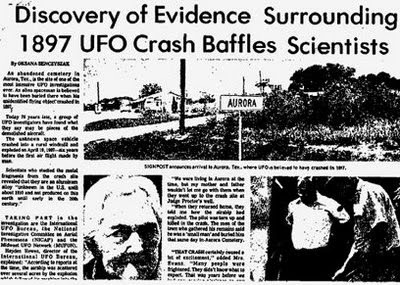 David Michael Jacobs, The UFO Controversy in America, Signet, 1976, p.8. Louis Post-Dispatch, 19 April 1897, in Bullard pp.1 01-2. Dallas Morning News, 19 April 1897, in Bullard, p.228. George C. Andrews, Extra-Terrestrials Among Us, Llewellyn, St. Paul, Minnesota, 1987, pp.81-82. Quoted in Nigel Watson, 'Down to Earth', Magonia 43, July 1992, p.7. The Letters of William James and Theodore Flournoy, edited by Robert C. LeClair, University of Wisconsin Press, Madison, Milwaukee & London, 1966, pp.47-48. Theodore Flournoy, From India to the Planet Mars: A Case of Mulitple Personality with Imaginary Languages, edited and introduced by Sonu Shamdasani, Princeton University Press, Princeton, New Jersey, 1994, pp.14-15, 90-91, 113,137. John Grant, A Directory of Discarded Ideas, Corgi, London, 1983, p.140. E.g. Ronald Pearsall, The Table-Rappers, Book Club Associates, London, 1972, p.85; Deborah Blum, Ghost Hunters, Arrow Books, London, 2007, p.242. Colin Wilson, in William Denton, The Soul of Things, Aquarian Press, Wellingborough, Northamptonshire, 1988, p.x. Whitley Strieber, Confirmation: The Hard Evidence of Aliens among Us, Simon & Schuster, London, 1998, pp.115-16. Desmond Leslie & George Adamski, Flying Saucers Have Landed, Werner Laurie, London, 1953, p.129. Flying Saucers Have Landed, new edition, Futura, London, 1977 (1st 1970). Cyril Richardson, Venus Speaks, Regency Press, London, . Eileen Buckle, The Scoriton Mystery, Neville Spearman, London, 1967, particularly pp.47-73. Lou Zinstagg & Timothy Good, George Adamski: The Untold Story, Ceti Publications, Beckenham, 1983, p.183.